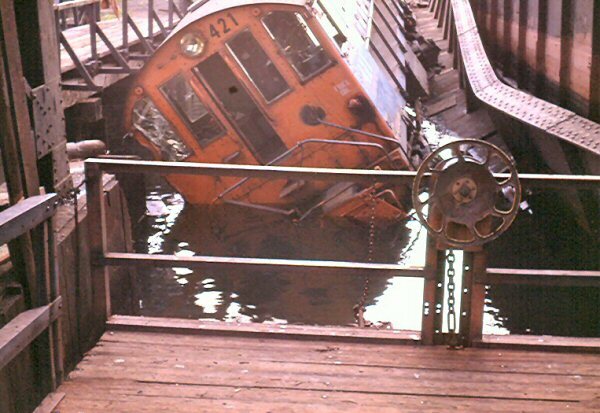 The anecdote from the LIRR Brakeman who was on the job that day; as told to JJ Earl: "It was still daylight when we had coupled up to the first car on the float. I then swung down off the float flat (reacher car) to get between the flat and the first car and bent down to hang the (air) hose when I heard this loud noise. I jumped up and looked around and saw the engine starting to tilt and the float under my feet start to move. I didn't know that I could move so fast but when it all settled down, I was safely out of the way. When the new Trainmaster on duty came to the scene, he asked me, "How fast were you going?" This was the standard question asked at all mishaps, found on page one of the New Trainmaster's Handbook. "We were standin' still" was my reply. "Aww! Bull---t" came the bellow of the Trainmaster. Words got a little testy until everyone understood that this was the boss. 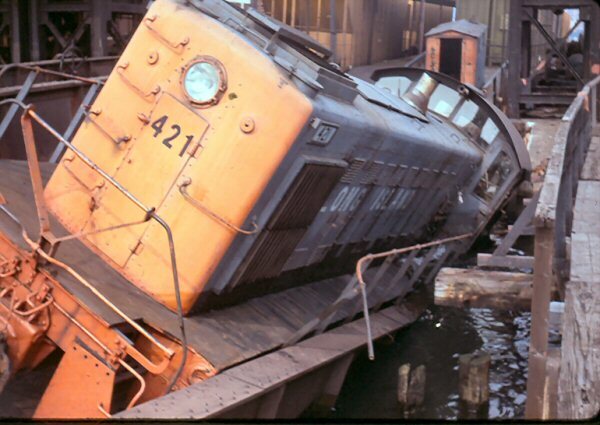 To make a long story short, no one was injured, no one was disciplined, #5 Bridge was put out of service and Alco S1 #421 was cut up for scrap ( there were new engines on order anyhow.) It wasn't long afterward that all floating operations came to halt with the advent of Conrail." Provided compliments of JJ Earl. I think you wanted to know where the tracks on the hump went to. Let's start at the East River. Car floats were ferried to the float bridges by different railroads, PRR, NYC, CNJ, EL, B&O and the LIRR. 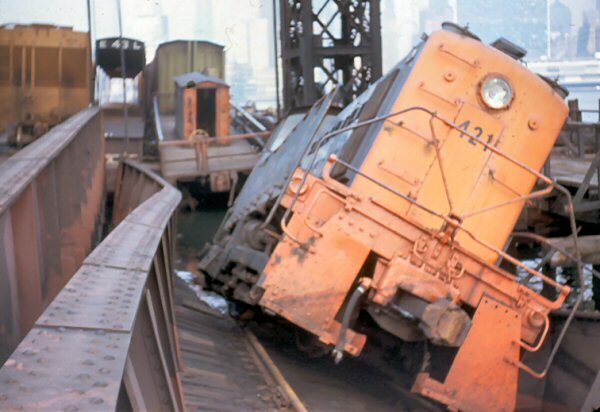 According to some old timers, many years ago, 3 & 4 bridges were just south of 1 & 2. Tracks leading to them were retained and used for set-outs of cars to be picked up later. 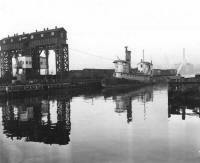 These were not "overhead bridges" as we know them but were but were floated on pontoons rather than by motorized lift. 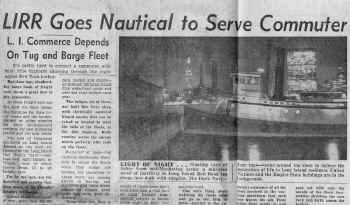 The pontoon bridge is much like the Cross Harbor's. The float job would unload the floats and bring the cars to Jackson Ave. Another job called the 3rd float would then bring the cars up the feeder track and drop them for the hump job. 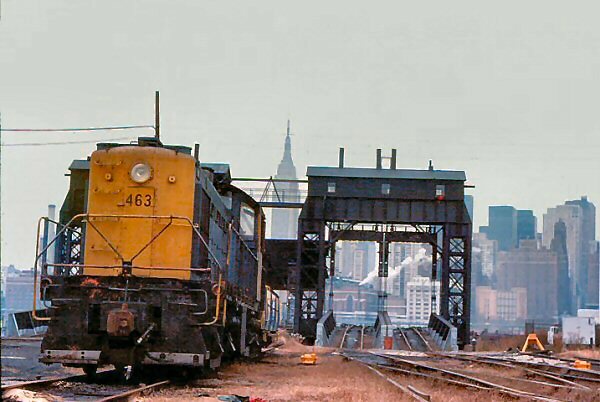 The hump job would switch the cars into the proper tracks for their destination, the haulers to Holban Yard taking cars bound for Long Island, the road MA jobs and the yard jobs, ( Degnon, Kearny, Murrers and Blissville jobs ). 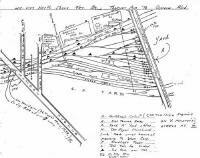 Past the hump was a few private sidings, Gallo, Ronzoni, old GE and the Harold Ave. team yard witch was switched by the last trick Harold Ave. job. 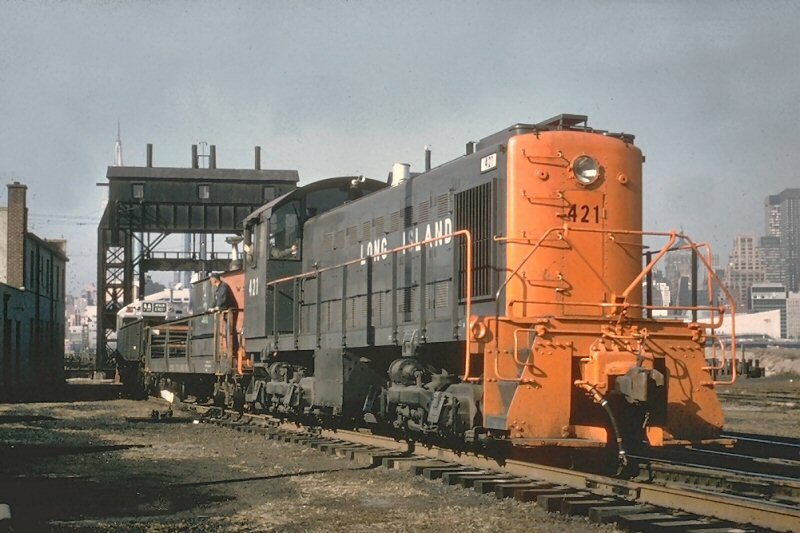 On the other end of the hump yard at Thompson Ave. was the Yard A job which kicked out cripples, double over tracks to make up trains and did other yard work. Going back towards the river was the 8th Street hump where the westbounds were switched out by the Hill job for the railroads that they were going to. 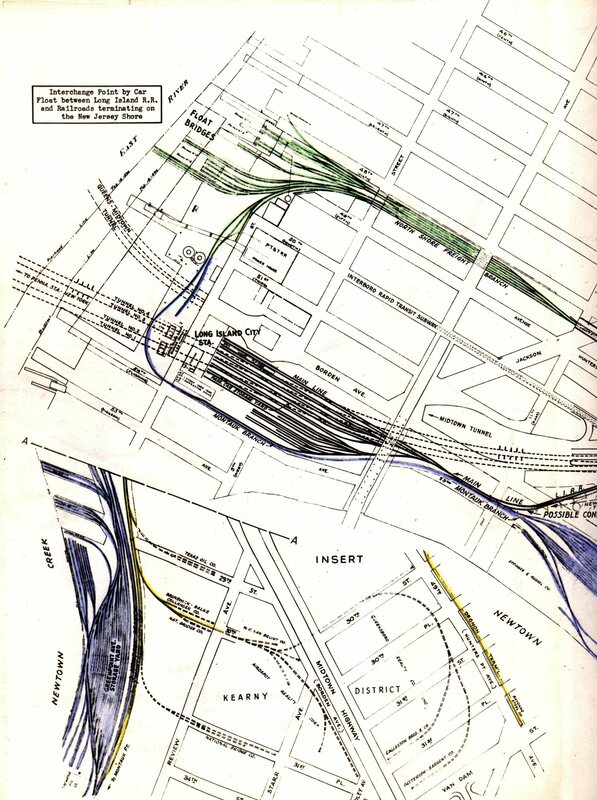 Yards / Yard A exist when the East River tunnels were built or were they built as part of the Penn’s Sunnyside yard complex? Before the Penn Station tunnels were built, the current mainline saw the bulk of the freight into and out of Long Island City, with the Montauk Division carrying the passenger trains. 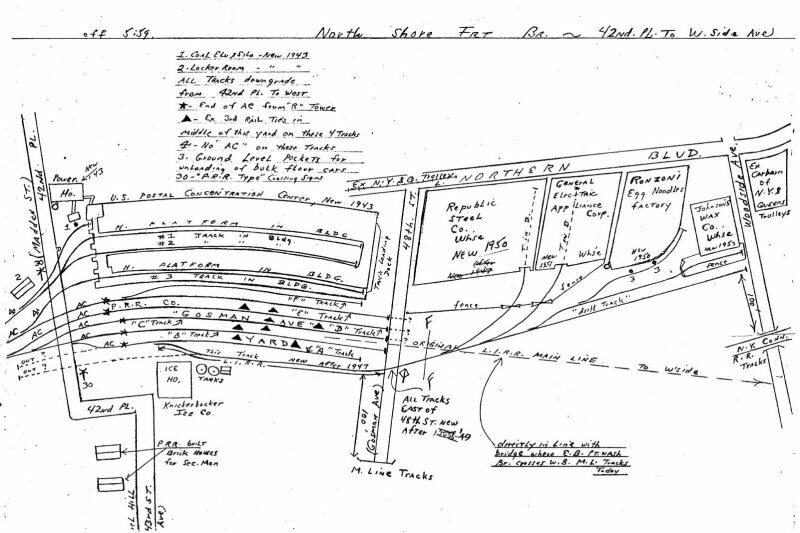 I know there used to be a large freight yard west of the old Jamaica station. 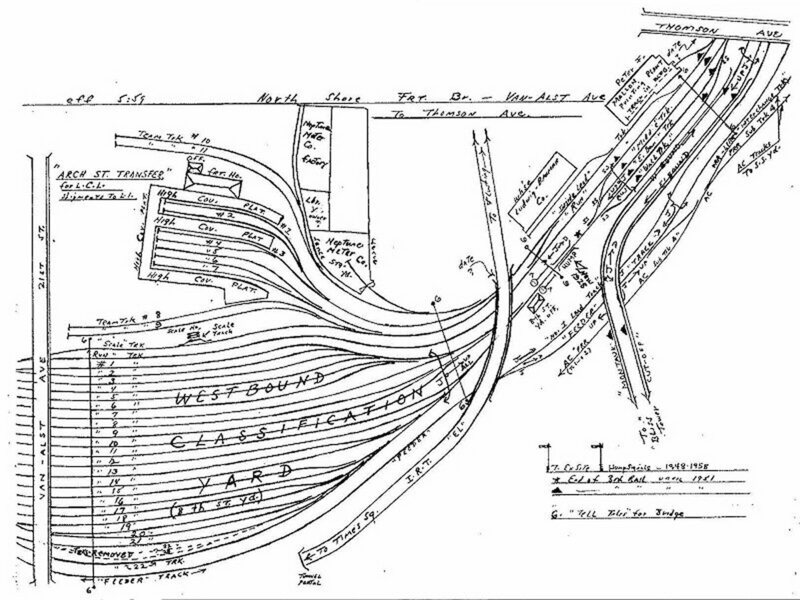 When the current Jamaica station was built, the freight yard was moved to Hollis / St Albans (Holban yard). 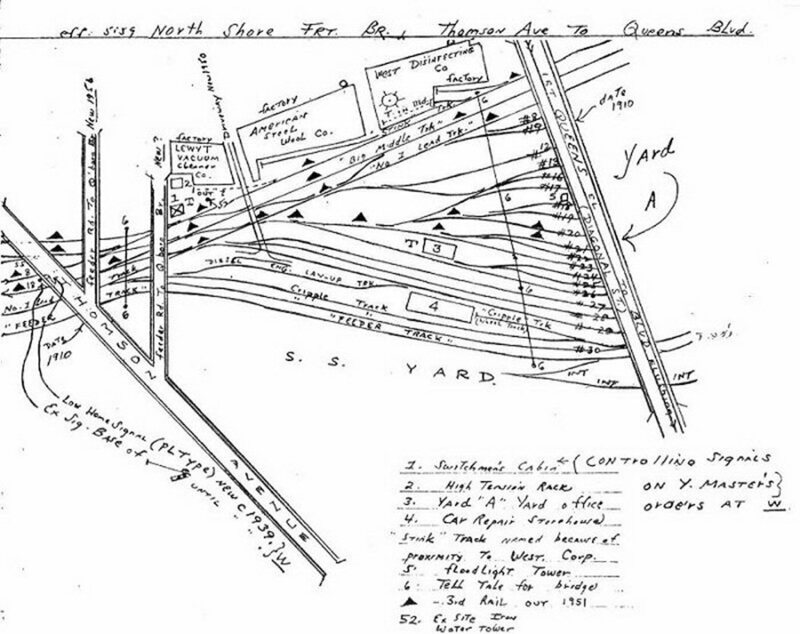 When the old Jamaica freight yard was operating, did that yard classify all freights or were there always two yards? Thanks in advance. 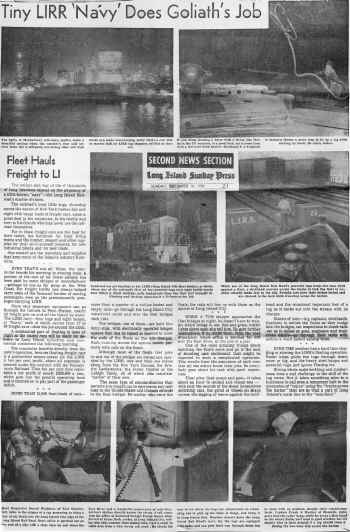 Johnny F.
and installation of freight receiving stations on the island. 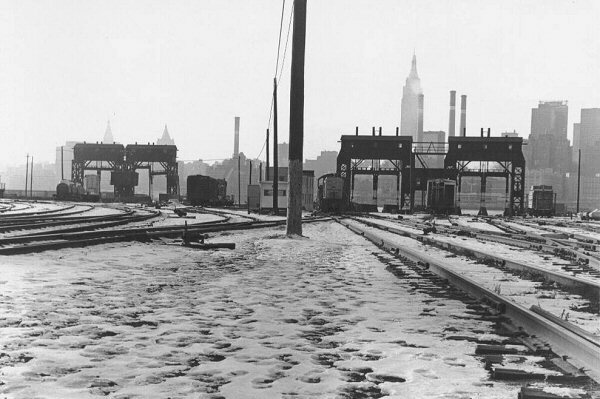 The Degnon Construction Co., when finished their work with the tunnels and Sunnyside, built warehouses along 47th Ave and created Degnon Terminal with rail access to each. Other terminals in the area were created at this time (Kearny, MUrrer, Harold Ave, Arch Street, etc.) and this would cause too much congestion in the North Shore Yard without sending Island bound freight to a point east of Jamaica to be re-classified for east end destinations. 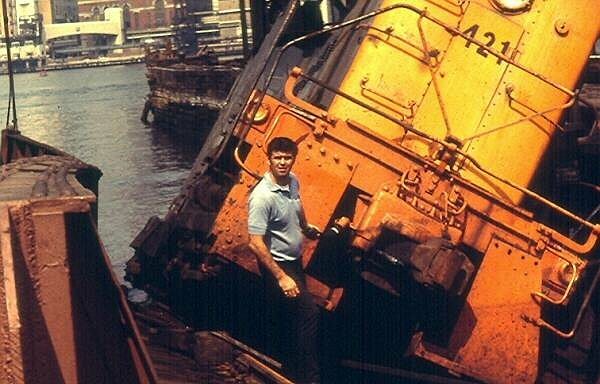 During the 50s/60s, there were three road jobs that worked around the clock taking two trains each of approximately sixty cars from Yard A to Holban, clearing the yard for more cars to be switched. 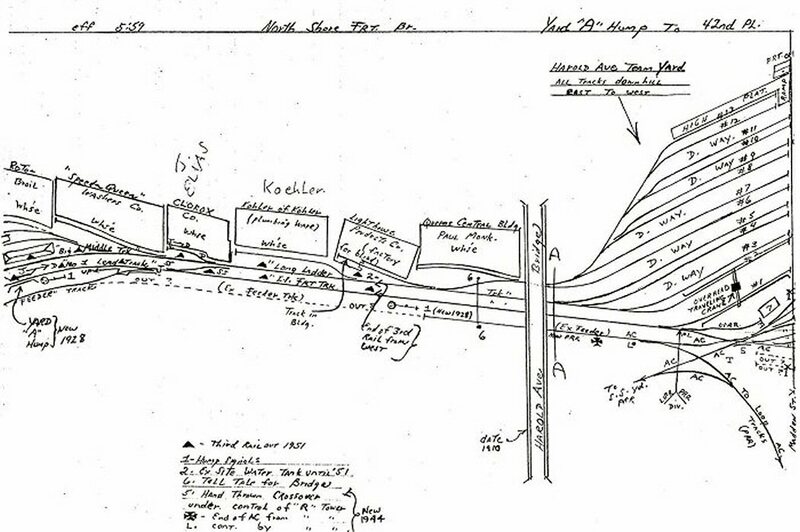 Having east end jobs start and terminate east of Jamaica also relieved the dispatchers in Jamaica from having to route these east end freights through the Jamaica bottleneck to get to or from Yard A. Another consideration was the 16 hour law. Crews could have outlawed if they had to do that extra eleven miles with traffic tie-ups that they would encounter. 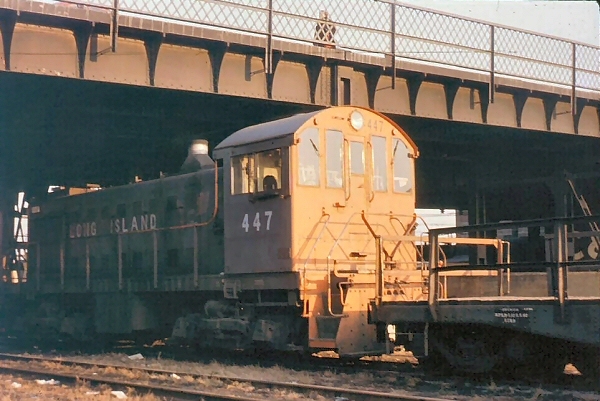 A: In my time, Yard A classified trains for numerous switch jobs in the Long Island City area (Degnon, Bliss, etc) and freight for east of Jamaica. 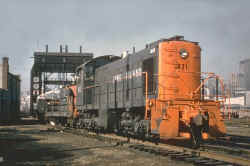 The freight for east of Jamaica was made up for haulers to be transferred to Holban Yard where it was again classified for East bound freights. 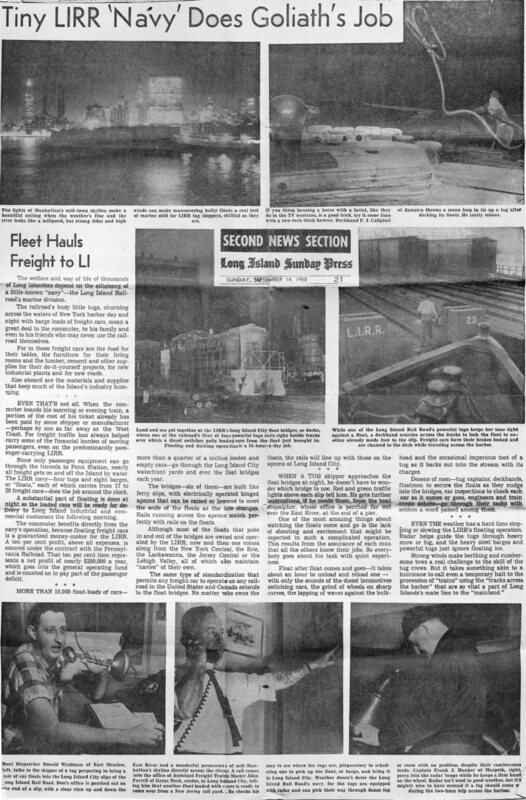 Freight was also made up in Yard A for transfer to Fresh Pond for New Haven interchange and some local switching jobs in that area. 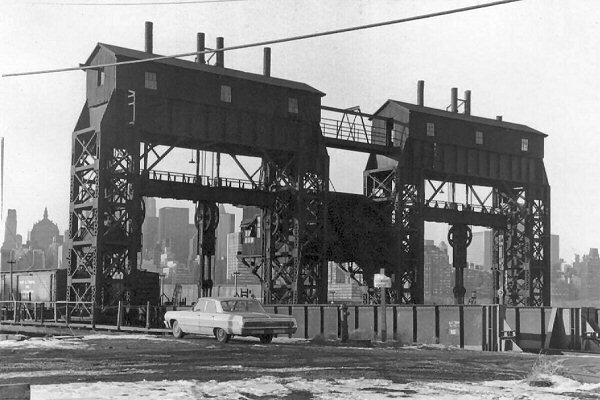 This all started with freight from the float bridges in Long Island City which received cars from many railroads in the area. 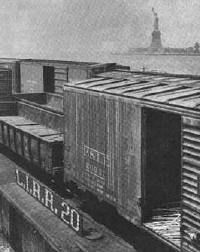 In other words, New York harbor was like a huge classification yard. Amazing that this is all gone. 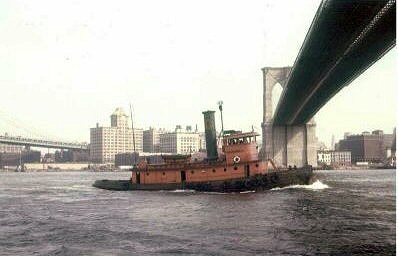 Worked many days at the float bridges in LI City. 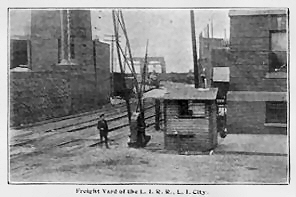 There cars were taken off and sent by the feeder job to the hump at the East end of Yard A and were classified as above. The Hump at 8th. street classified westbound cars ,generally empties, in tracks according to the home roads of the cars to be loaded on floats. I am not familiar with any large freight yard West of Jamaica. Before my time. I remember a team yard in Richmond Hill and Johnson Ave yard behind Hall tower with leads to the Dunton Shops. As to Penn. Station and Sunnyside. 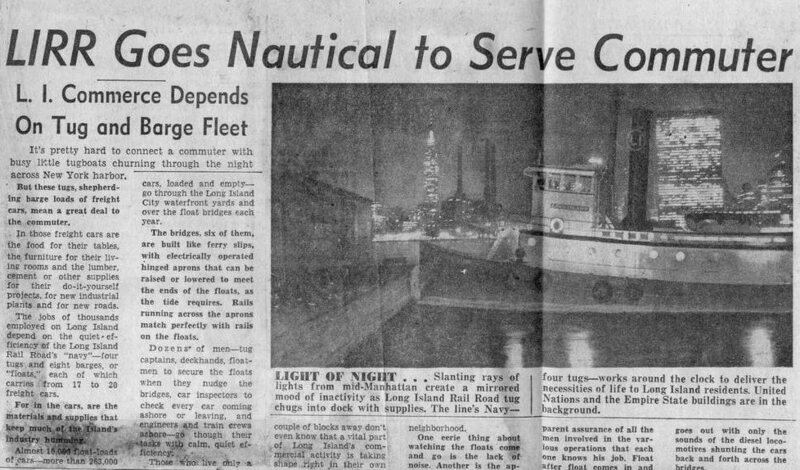 What I believe came about was that the Long Island Rail Road had talked of tunneling into Manhattan but did not have the funds, but did have the rights to do so as it had the waterfront property on the East river. 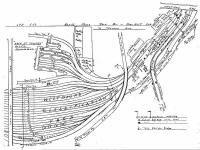 I think the Pennsy and the New Haven formed the New York Connecting Railroad to build the Hell Gate bridge and the tunnels. LIRR evidently did not have the funds.